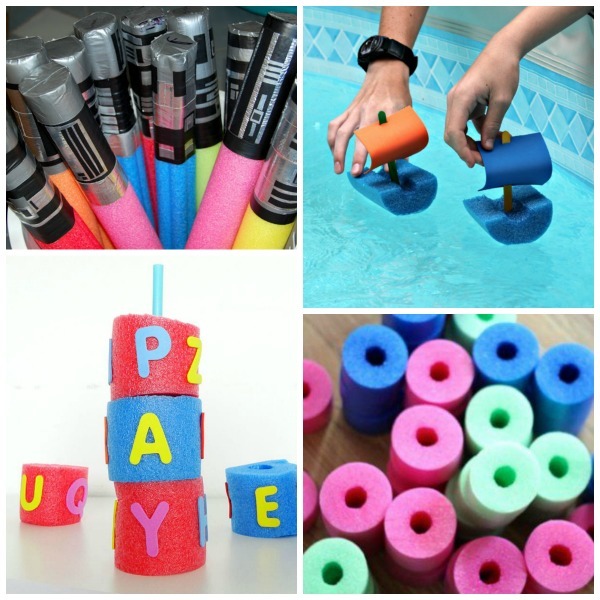 Did you know that pool noodles aren't just for the pool! 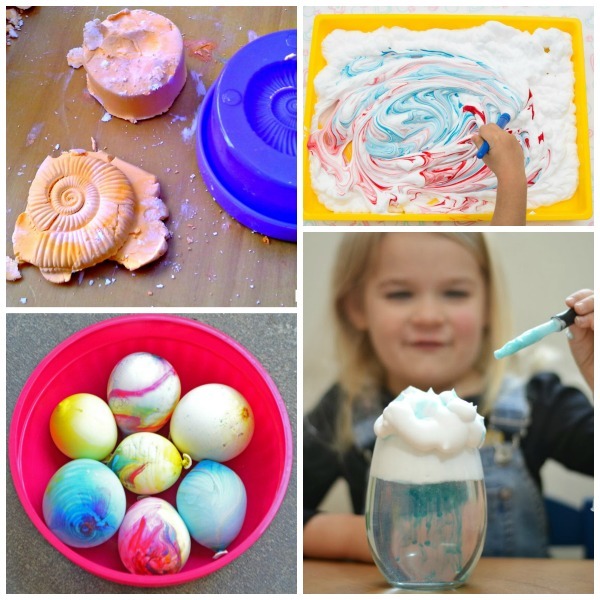 Here are 32 super awesome ways for kids to use their noodles. 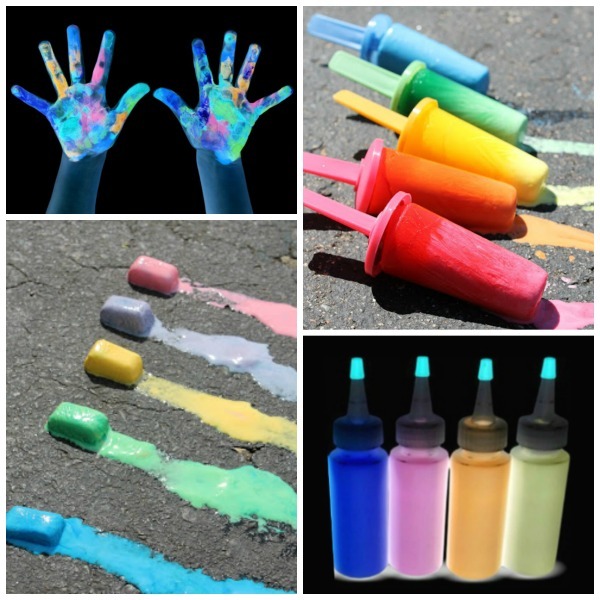 These are so fun you will want to try them all! 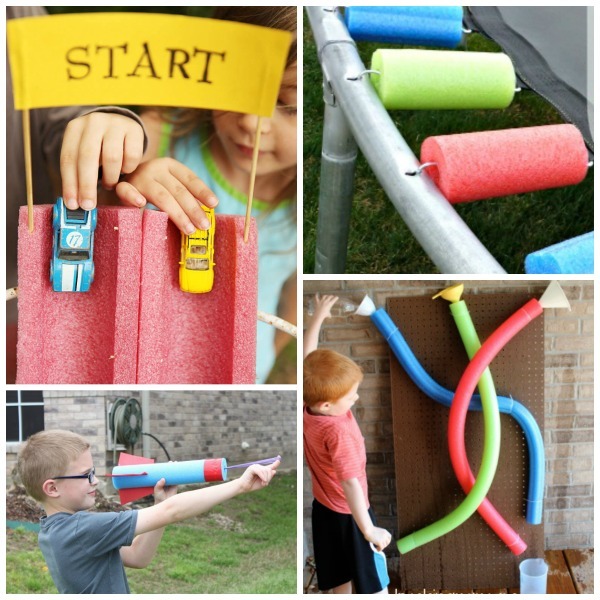 Make a pool noodle race track. 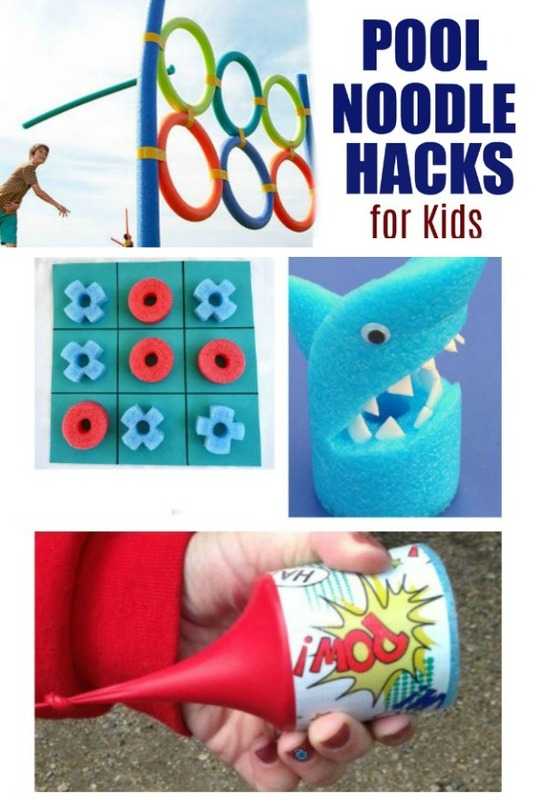 Keep them busy with a rocket flinger. Use your noodle for trampoline safety. 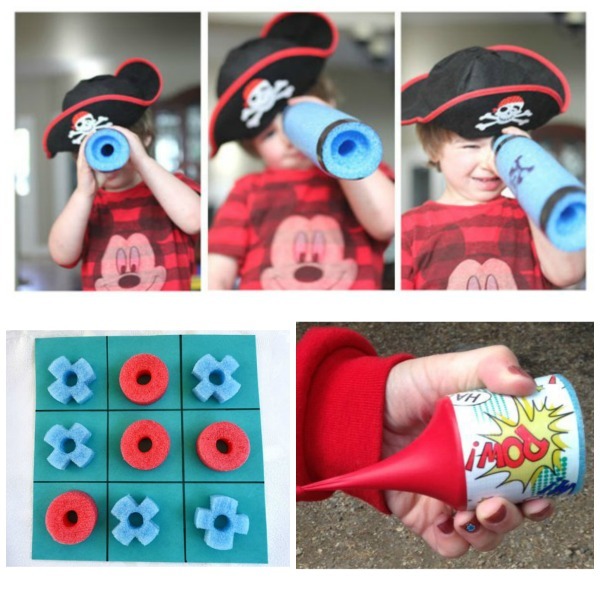 Keep kids cool with a pool noodle water wall. 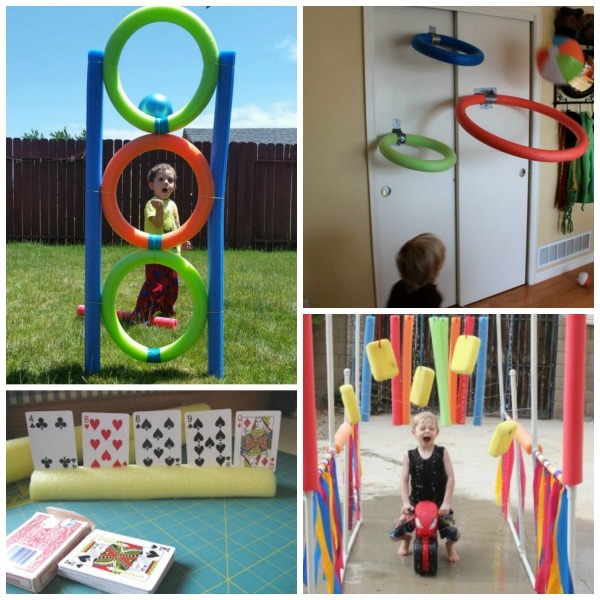 Make this awesome ball toss game. Turn your noodle into a hands free card holder. 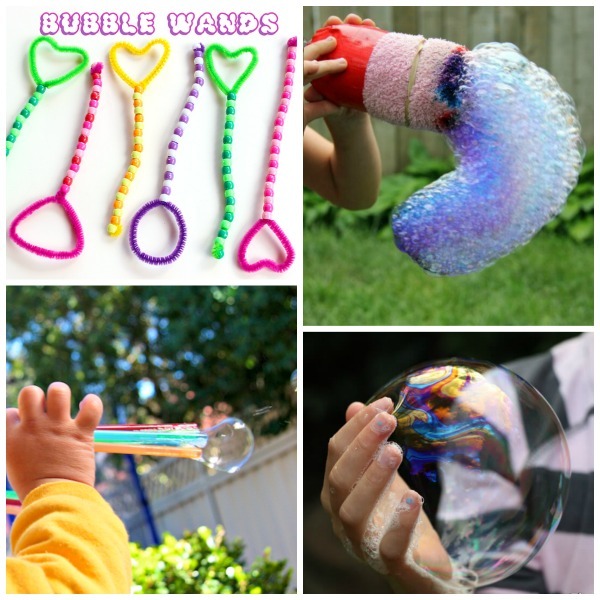 Keep kids cool with a kiddie wash.
Make pool noodle light sabers. 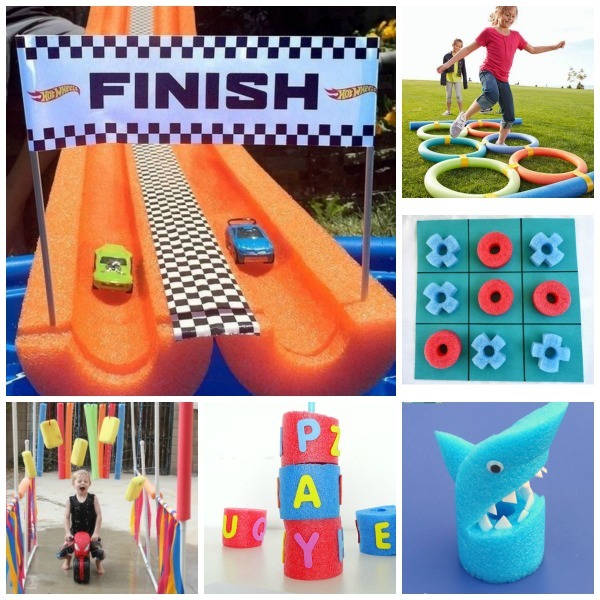 Build early literacy skills with a pool noodle word search. Add some fun to the pool with these noodle boats. Blow the boys away with this AWESOME race track. Keep kids busy with noodle poppers. 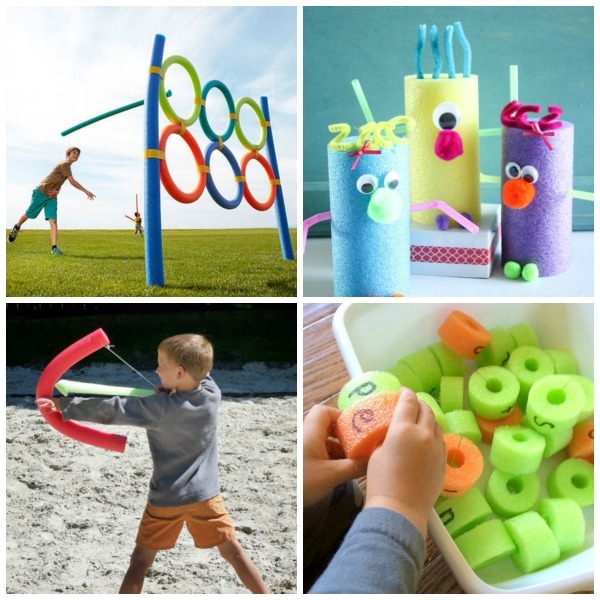 Get kids moving with a noodle sports center. 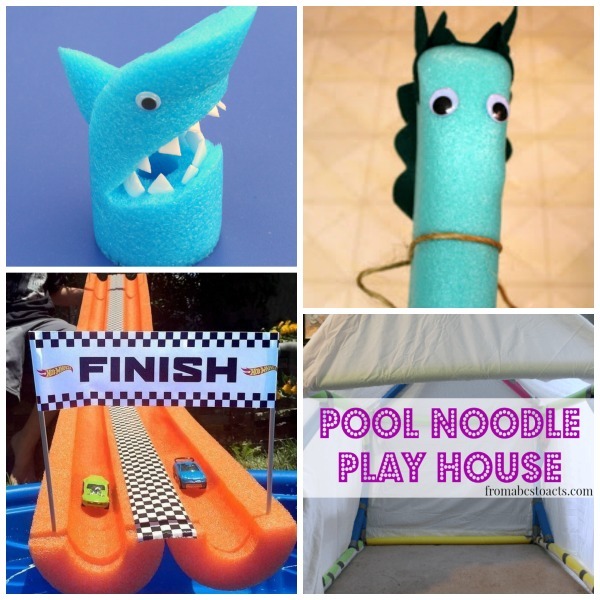 Craft these adorable noodle monsters. Use those noodles to practice and review CVC words. Make a noodle robot- it moves! 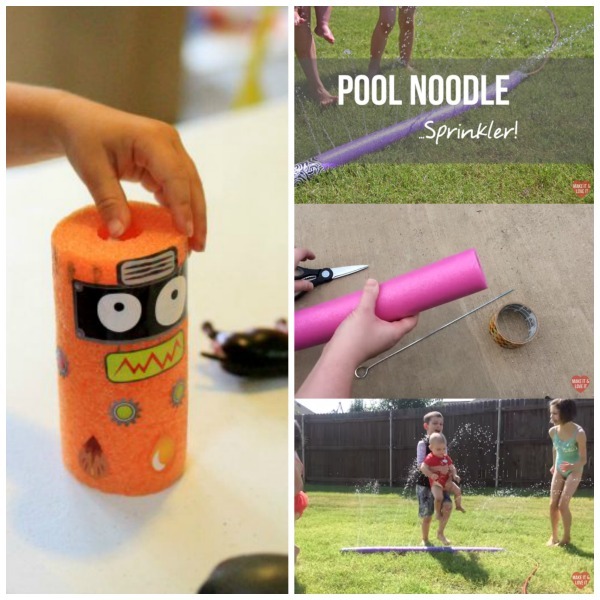 Turn a noodle into a super cool sprinkler.